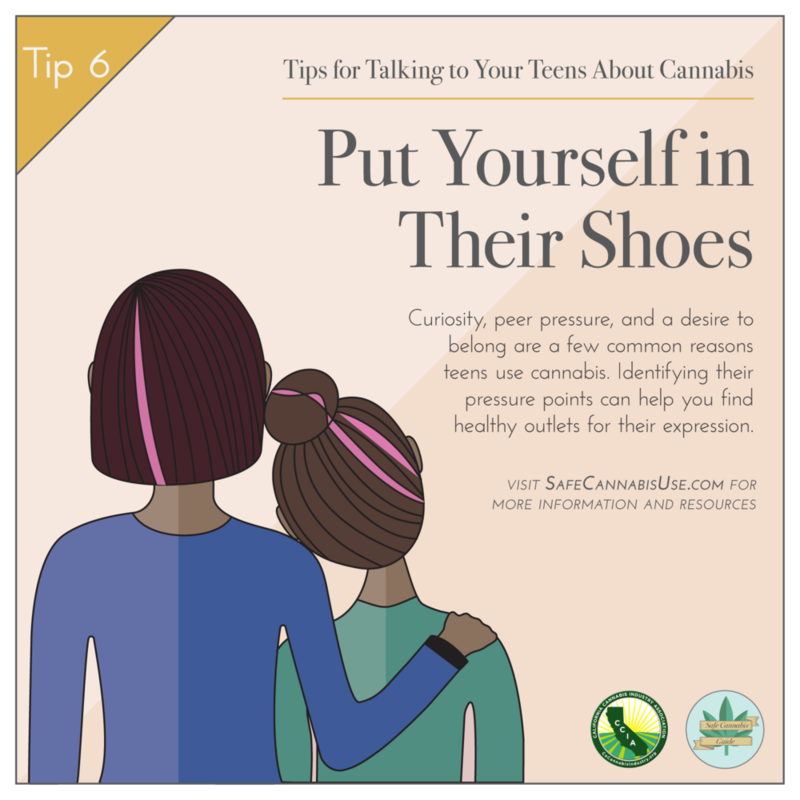 We've created two collections of social images to help spread this important information- the Youth Safety Series and First Time Patients Guide. The image order and accompanying copy outlined below are merely our suggestions for posting. Any individual or organization should feel free to share the image(s) they prefer in order to educate their particular community. Accompanying Copy: Cannabis is legal to purchase by adults 21 and over in California- which means that all you need is your picture ID to buy cannabis at a recreational dispensary, even if you're not a California citizen. However, most locales are currently not ready to sell recreational cannabis- and won't be for many months. In this case, obtaining a medical marijuana recommendation (MMR) for cannabis is recommended. Cannabis clinics with on-site doctors who provide MMRs are common in all major cities. They can be found by doing a search for “cannabis clinic” on sites like Google, Yelp, Weedmaps and Leafly. You can call ahead to make an appointment, but most clinics also accept walk-ins. The state of California also issues their own medical marijuana recommendations, called MMICs, through its Medical Marijuana Identification Card Program. You do not need an MMIC to purchase medical cannabis from a dispensary. However, patients who present a valid MMIC card do not have to pay the sales and use tax when making retail purchases of medical cannabis, whether flowers, concentrates, edibles or topical. Also note that an MMIC can only be obtained by those who already have an MMR.